Laura Mercier’s La Petite Pâtisserie Soufflè Body Crème Collection ($59; lauramercier.com) is new for the holidays and comes with six of Laura Mercier's deliciously scened Soufflé Body Creams in mini sizes. Its a gorgeous gift for someone who loves luxurious bath and body products. I absolutely love each and every scent in here. They are the perfect consistency for a slightly thicker body cream, feel smooth, absorb easily and the scent lingers around for hours. Ambre Vanille is one of my favorite scents from the Laura Mercier bath and body line and the body butter version of it is just the most sweet, cozy and creamiest scent for fall and winter. Fresh Fig is another favorite too, its more of a softer, sweeter scent, Creme de Pistache and Creme Brûlée are true to how they should smell like, utterly delicious. Tarte au Citron is very fresh, not too tart, but much softer and sweeter than most lemon fragrances I’ve tried, while Almond Coconut Milk is warm and nutty. All of them come packaged in small-ish plastic jars which are perfect to travel with. They also layer fabulously under the respective EDT’s and last all day. I find the formula to be moisturizing for Soufflé Creams, but may need to be reapplied towards the end of the day if you have uber dry skin in the winter. Overall, its a super luxurious, amazing pick for the holidays from Laura Mercier, perfect for anyone who loves deliciously scented body care. The soufflés truly have a soft, whipped texture and don’t feel one bit dry or greasy, so its great to be used year round. 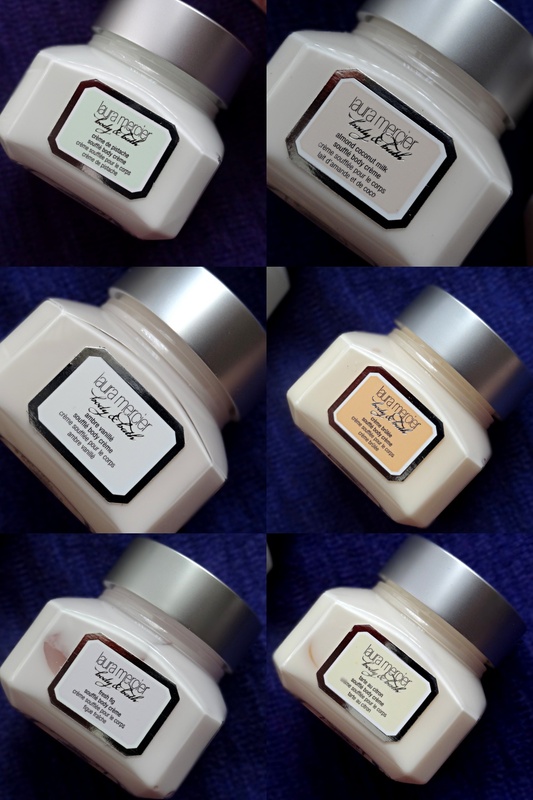 Have you tried any of the Laura Mercier bath, body and fragrances? What are your favorites?